E.B. 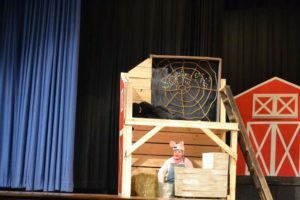 White’s classic novel is brought to new heights in this enchanting musical version of Charlotte’s Web. With music and lyrics by Tony-award winning Charles Strouse (Annie, Bye Bye Birdie) and book by Joseph Robinette (national award-winning children’s playwright), this beloved tale of the value of true friendship comes to life on stage in this joyous musical for the whole family. All the familiar characters are here: Wilbur, the irresistible young pig who desperately wants to avoid the butcher; Fern, a girl who understands what animals say to each other; Templeton, the gluttonous rat who can occasionally be talked into a good deed; the Zuckerman family; the Arables; and, most of all, the extraordinary spider, Charlotte, who proves to be “a true friend and a good writer.” Determined to save Wilbur, Charlotte begins her campaign with the “miracle” of her web in which she writes, “Some pig.” It’s the beginning of a victorious campaign which ultimately ends with the now-safe Wilbur doing what is most important to Charlotte. The delightful musical score includes “Who Says We Can’t Be Friends,” an enchanting duet between Wilbur and his new-found companion Charlotte; “Welcome to the Zuckerman Barn,” featuring all the story’s unforgettable animals in a hand-clapping, toe-tapping hoe-down; and “Summer,” a haunting, nostalgic chorus number which evokes a time and place from everyone’s childhood. 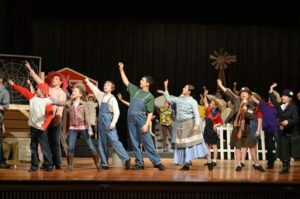 Charlotte’s Web – The Musical is an enchanting tale of the value of true friendship the whole family will love! 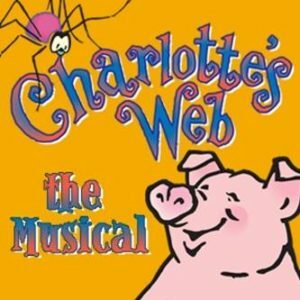 Charlotte’s Web – The Musical is presented through special arrangement with The Dramatic Publishing Company. 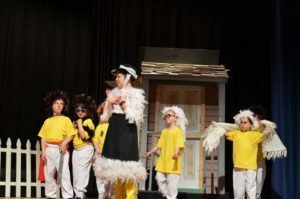 This program is supported in part by grants from the Easton, Foxboro, Mansfield and Norton Cultural Councils, local agencies which are supported by the Massachusetts Cultural Council, a state agency.